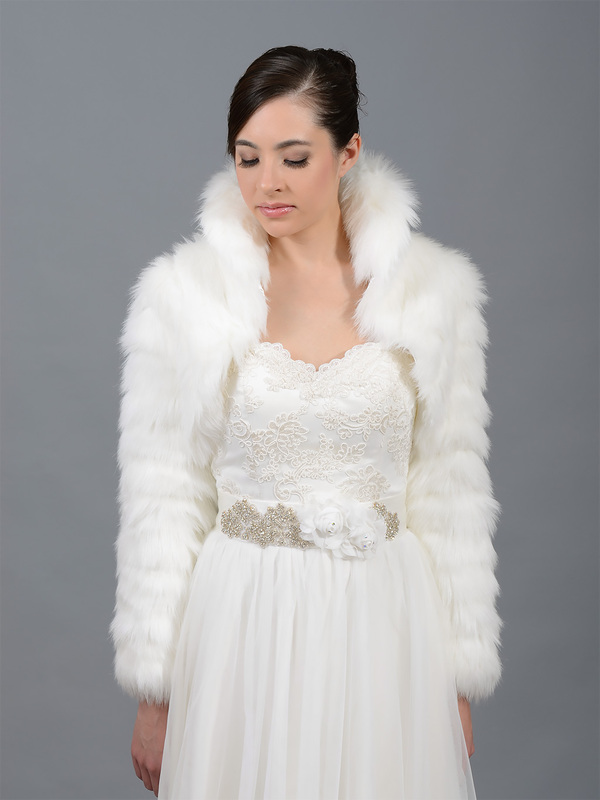 This is an beautiful Ivory soft and high quality long sleeve faux fur bolero jacket. The fur is very soft and long. We have Small, Medium and Large size that you can choose from. It's nicely finished on both sides, with high quality satin lining. The stand up collar makes you feel warm and stylish in cold weather. Large size normally fits US size 12-18. 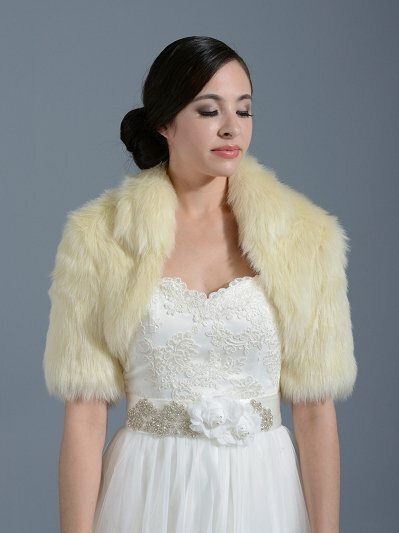 My ivory bolero has just arrived and I am thrilled with it. Can''t wait to try it on with my wedding dress. 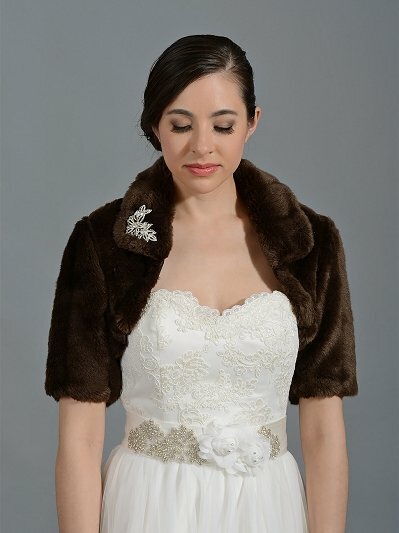 The faux fur is really soft and it looks exactly as it does in the picture, there is also a little hook in the collar to do it up which will keep me warm for a winter wedding. I reckon I will definitely find an excuse to wear this again. My only slight [and very minor] criticism would be that the lining inside is fairly basic - you can feel the underlining of the faux fur through it when handling but it''s comfortable when on!